Tires are the most ignored and underrated component of your vehicle. They are the only interface between your Hyundai and the road to provide traction to accelerate, steer and stop. Your Hyundai dealer knows your vehicle best and will ensure it’s equipped with the optimum choice of tire for your driving needs. While all-season tires are designed to provide traction in a variety of summer weather conditions, they are not made to provide grip in severe winter conditions. 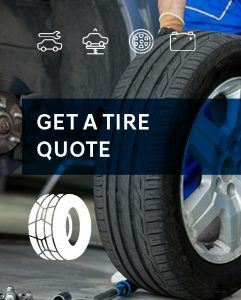 The primary difference between summer and winter tires is not in their treads, although those may differ as well, but in the rubber that makes up the tires. Winter tires are made with a softer, more silicone-rich rubber compound that stays pliable when temperatures drop below -7 degrees Celsius. The title “all-season” is a bit of a misnomer in Canada, as all-season tires are really a poor choice for our winter conditions. In above-zero temperatures, all-seasons will perform fine, but you will observe a dramatic difference once temperatures drop.